Look stunning never before with this blue and off white saree with thousand butti-net aari work pleats. 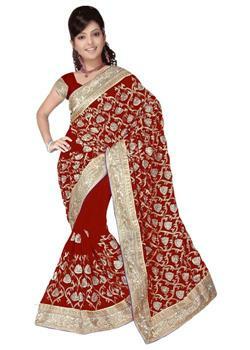 The pallu of saree is made from Jacuared Thousand Butti and the pleats from pure silk fabric. 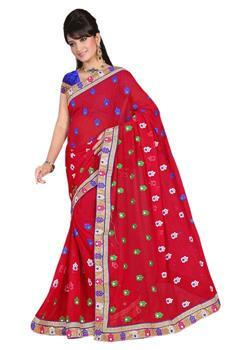 The pallu of saree decorated with rich kasab embroidered borders. It comes with matching customized blouse fabric.